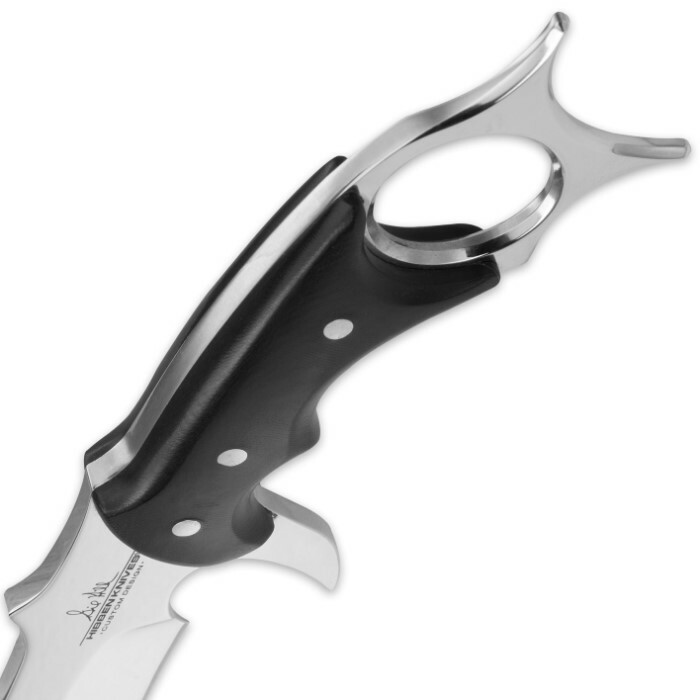 Gil Hibben High Polish Karambit With Sheath | BUDK.com - Knives & Swords At The Lowest Prices! 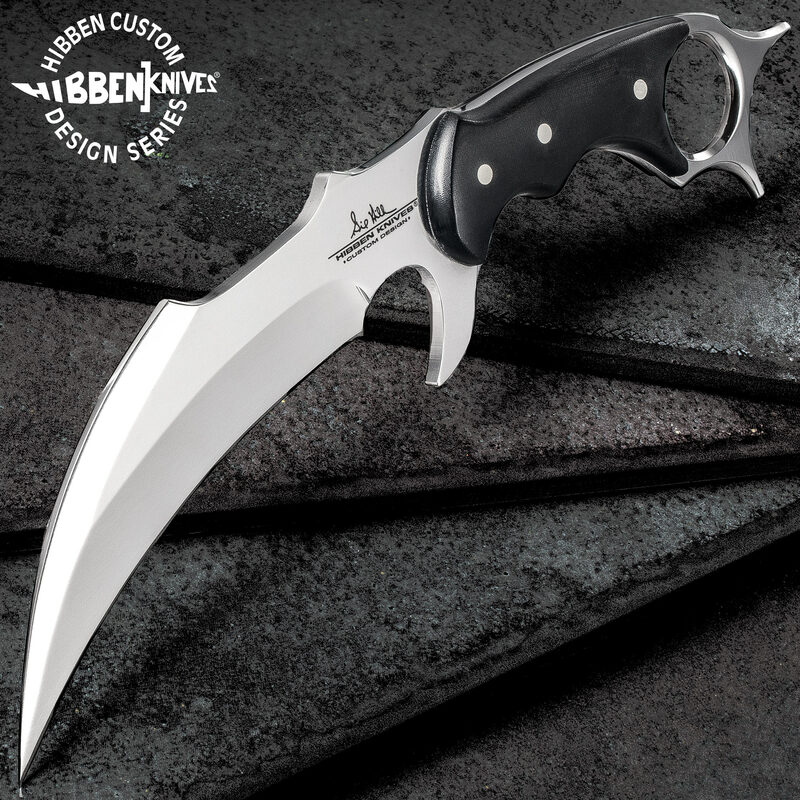 Fantastic blade, Great job Gil Hibben! Very well designed and fantastic fit & finish. Very sharp right out of the box, I did need to touch up to my liking. Yes, the blade came quite sharp, But i touched it up to my liking. It is Very highly polished, but, i will do mine again because i have noticed a polished blade cuts more Quickly, More Deeply, and more Easily. It helps resist stains and corrosion. I realize the Point must be difficult to copy from the original, the point of this knife is lackluster, but will come with time, so no big deal. The sheath is still in treatment, and will remain there for the full time, i want it to last a long time. The knife-sheath fit is dead on, great job. Overall, i am Very Happy with this Knife and sheath. Congratulations to Hibben Knives , United Cutlery, and Kennesaw Cutlery, i am just too picky. Great knife. razor sharp. BE CAREFUL!! Love this knife, came out of the box razor sharp. One thing I must say is DO NOT PLAY AROUND WITH THIS KNIFE, it is insanely sharp. This is my second karambit and my first Gill Hi Ben. Awesome!! 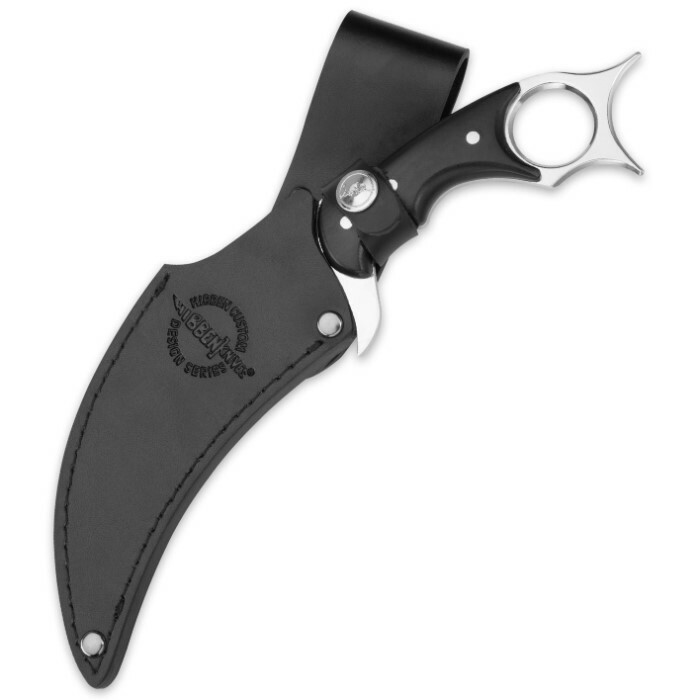 !This knife makes my other karambit cry. Excellent quality. Good weight and a nice thick sheath. It's my daily belt knife. It came sharp out of the box and has a fierce look. Order this knife! You can't go wrong. Tis is by far my favorite BudK purchase to date. Unlike many United Cutlery knives designed by Gil Hibben, the sheath on this one fit perfectly right out of the box. It's a very attractive looking piece and is made well. The blade came factory sharpened well enough and after honing it on ceramic was razor sharp. a lot of karambits don't fit larger hands well, but this one does. 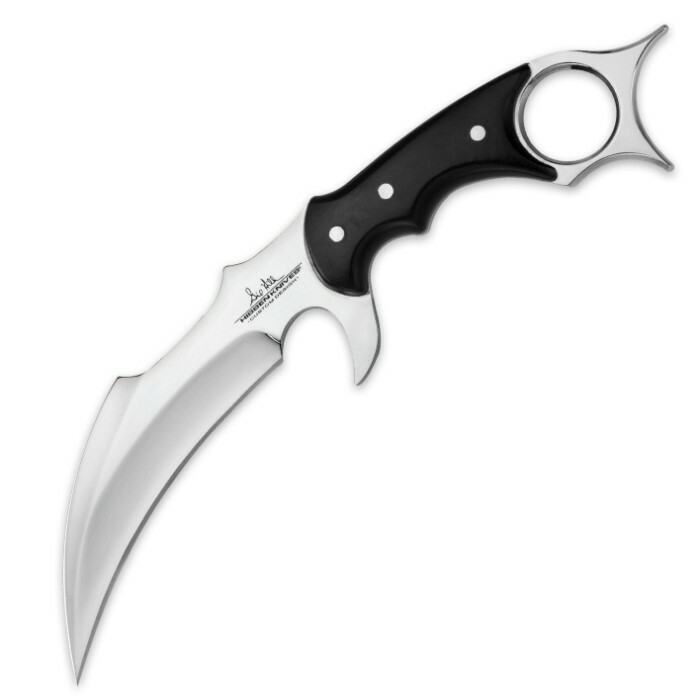 There's other similarly priced karambits out there, but I recommend this one over all others in the price range.